June 23- another fantastic p-day! 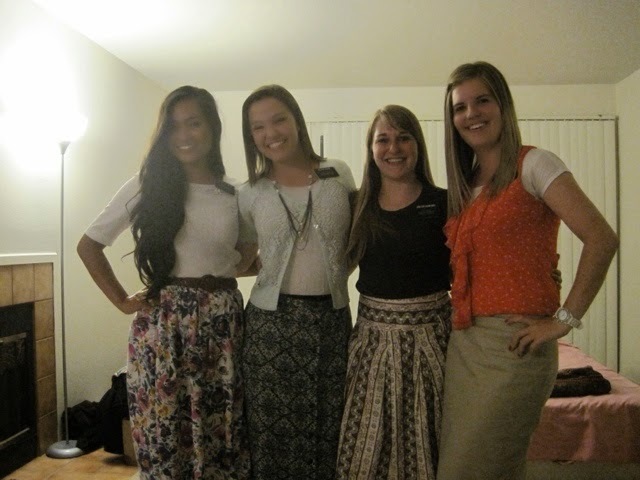 we were with the YSA sisters again and had a blast. we emailed and then went to lunch at subway and then got our shopping done at Wal-Mart. Sister Crowley needed to go shoe shopping so we went with them. you know me, i'll take every shopping trip i can get! haha down a few stores from the shoe store was a super cute clothing store called Vivify. 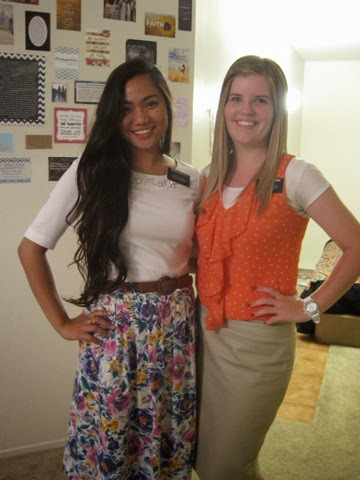 Sister Dunford and i went and checked it out and fell in love! i left with a new birthday outfit! thanks mom and dad :) we weren't able to make it to zone sports due to shopping. its okay cause they played soccer in the heat, i'll take shopping any day haha Dinner was dropped off to us by the Marx family. we ended the night by visiting Irene. she is doing better which we are happy to hear so we hope to see her at church again! June 25- we had such a fun day together. we visited less active and potentials and former's. they are trying to find people to teach in their area. the people are very nice but just busy. we talked to sister Rice, who is a less active, for awhile. she has many cats and kittens and is super sweet and very lonely. She loved talking to us for a little while. we also tried to visit with Olga, her daughter passed away the day before so the bishop wanted the sisters to stop by to see how she is and how we can help. she wasn't home but we left a card for her. we found a great scripture to share with her so we were bummed she wasn't there. ( Isaiah 41: 10) we were able to talk to a potential, Jack, he was super friendly. we talked with him for a good 20 minutes or so. he has the same standards we do and believes the same things we believe. we asked if he wanted to learn more and he kindly declined. he is so busy right now. ugh! Come on people! haha He will get baptized one day! we weren't home and had dinner and talked about the day and visited with the members the sisters live with. it was a wonderful day! we headed home and exchanged back and took many pictures! June 26- today we found a new investigator! we were out visiting people and we checked our phone and we had a referral! we were so excited. a member referred her and said she needs help moving. we stopped by her home right away and she was there! she started crying at the door and was so grateful for us coming. she invited us in to help her and to get to know her better. her daughter Sali wasn't very happy to have us there. she is going through a lot and is embarrassed of the mess. she went to her room and cooled down and by the end of our visit she came out and apologized and was very sweet and friendly to us. she is pregnant right now and has major health issues due to an abusive ex husband. its so sad to hear stories like these, it breaks our hearts. Diana the mom who let us in told us everything that is going on and we are so happy to help. we got a game plan together to help her move some of her furniture. she isn't permanently moving yet so we will still be able to teach her! her member friend actually called her as we were there asking if we came in contact with her and she let him know we were sitting there with her. he was so excited! Diana is at a very humbling point in her life and is ready to listen. we helped her pack a little. her house is not very clean at all! She is a complete hoarder! yep bad enough to make it on TLC! i am so grateful i don't have that or live with anyone that does. it did turn out to be a wonderful visit. we went back home to get and eat the dinner that was being dropped off for us. after we went to the Swarts for our meeting with Bro. Swart. it went great! June 27- we were able to do half of our weekly planning before we went and saw Diana. we helped Diana pack more and then was able to have a great lesson with her. we taught some of the Restoration and all of the Plan of Salvation. she loved it and had many questions. we invited her to pray after we left to know if what we are teaching is true and to just pour out her heart to Him. she said she would do that. we left and met Kathy and her daughter for dinner at China Cook and after we went and cleaned her home. its looking so much better! i cleaned the kitchen... thanks mom and dad for teaching me how to clean, it has come in handy! haha we were exhausted to say the least. June 28- we were able to get help from the mountain view and creekside elders this morning with helping Diana. 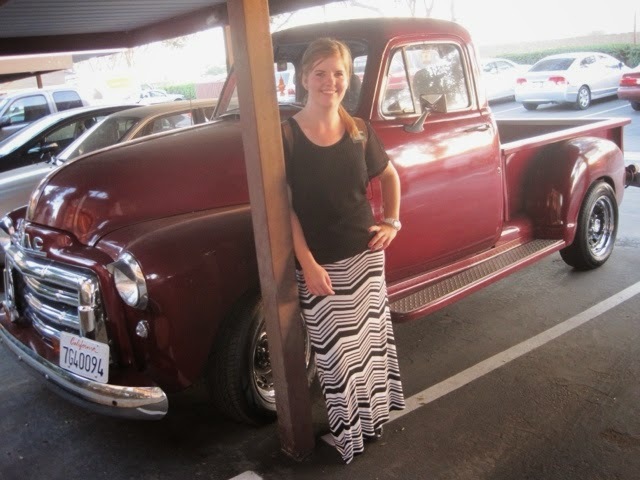 she got a truck and wanted to fill it up with some furniture to take to crestline where she will be moving. they were a huge help! Diana told us that she prayed and felt relief. she sobbed during and after her prayer. she got her answer! she is so excited to learn more. we then finished our weekly planning and went to dinner with the Ramirez family. that went really well, they actually have a neighbor they are going to invite over and have us come cause he had many questions about the church! we are excited!! June 29- Miracle Day!! we get out of ward council and look at our phone to see a text from Makala saying she wants to go to church but needs a ride. we chased after Sister Salmon since she is the young womens pres. while doing that a family of 3 came in. the kids were members but the dad (Will) wasn't. we asked if they needed anything and he asked where to go. we walked with them to the chapel and kinda got their story. the kids are from Utah and are with their dad while family stuff is going on at their moms house. They were able to stay the whole time and he enjoyed it. We were able to get his contact information so we hope to meet with them soon! we ere able to find a ride for Makala and she came and sat with Xacha, she loved it! Monique was there and stayed for the second hour too! Irene also showed up for sacrament for her second time! thats not all...in the second hour a Chinese couple walked in and arent members. they just moved here about 3 months ago. Li Mei is Christian but Frank isnt anything. i sat with them and invited them to learn more. i set up an appointment with them for Wednesday. she said they want to come to church every week! so cool!! we were so excited and speechless. the miracles don't stop there though. at dinner with the Birdsalls we asked if Alex, a young man in the ward who has his mission papers in, could practice teaching the lessons to their family. they gladly agreed!! Grace also talked about herself getting baptized wahoo!! we are just so stinkin excited for this family! i know Everett and Grace will get baptized one day. i hope sooner than later haha but i know it will happen and i will be there to share that special day. This week we got 4 new investigators! we are back up to 12 investigators yay! 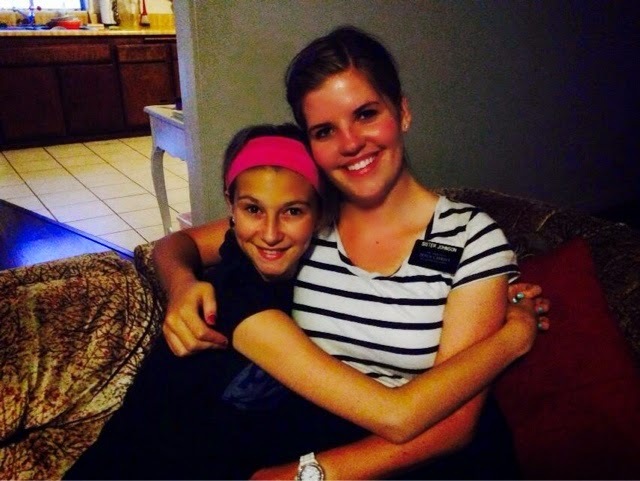 We are focusing on helping them progress and have baptism dates. We cant wait to help them come closer to our Savior! oh and side note our old investigator Marcel has a bap date for July 26! the YSA sisters told us and he loved church! the work out here is going great! He really does love us all and is helping us find the people who are ready! Hope you all have a wonderful week! I love you lots and am grateful for the support you give me!! Here is a picture I found on Facebook today from Dawn. It said Megan with Grace. 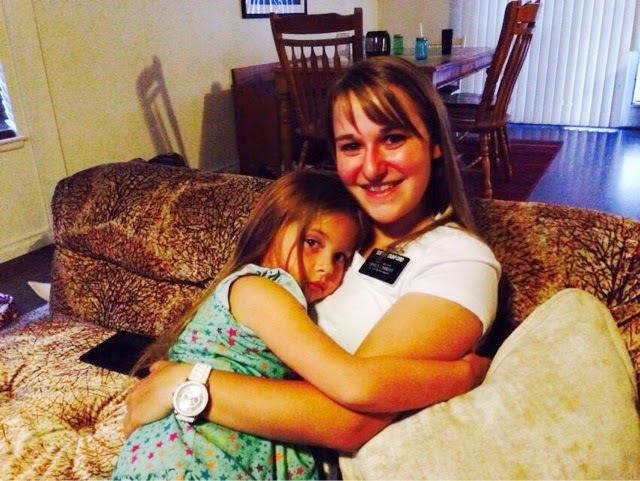 Sister Dunford with her Facebook picture too. With sister Soleta!Mama and Papa know her parents! 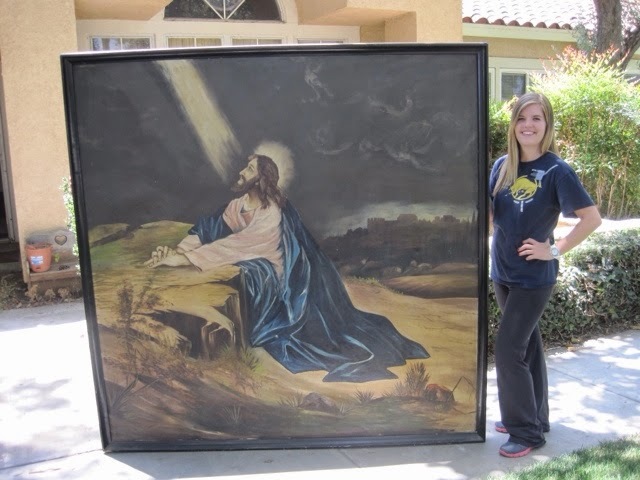 we moved this from Diana's home. had to get a picture with Jesus!